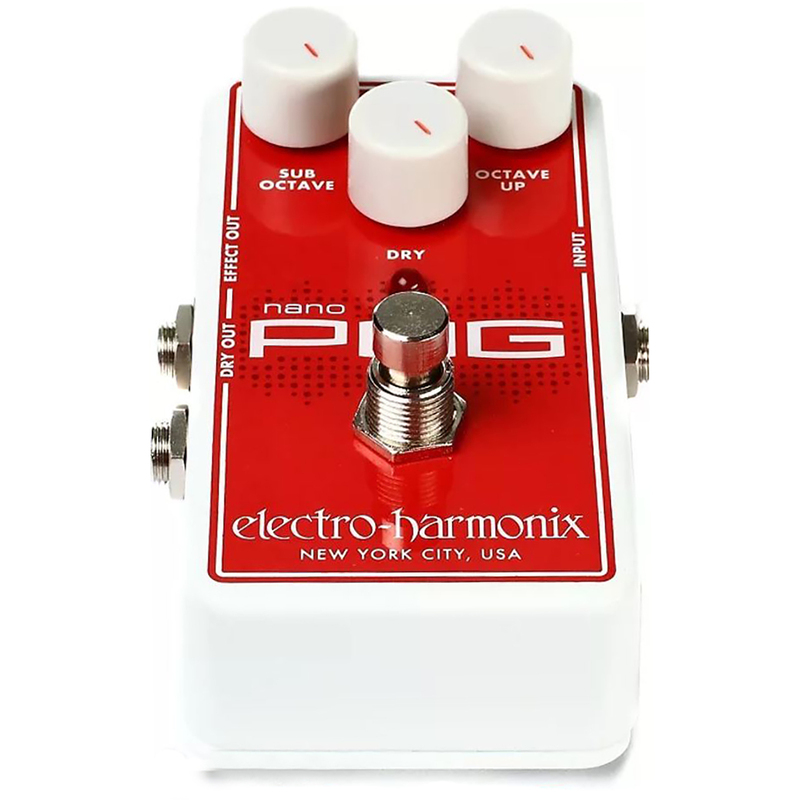 Electro Harmonix Nano Pog Polyphonic Octave Generator – What’s smaller than Micro? Nano! Electro Harmonix now offers the Nano POG polyphonic octave generator pedal, giving you the same 12-string, organ, and brand-new sounds as the other POG pedals in the line. But now you can save even more pedalboard real-estate with the smallest version of this classic design yet. It works great with bass too, giving you some truly funky options to tweak your tone. Get all the octave control and glitchless operation you love without having to pull another pedal from your board, with the Electro Harmonix Nano POG. 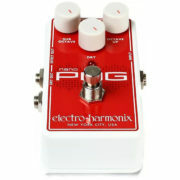 Electro Harmonix Nano Pog Polyphonic Octave Generator - What's smaller than Micro? Nano! 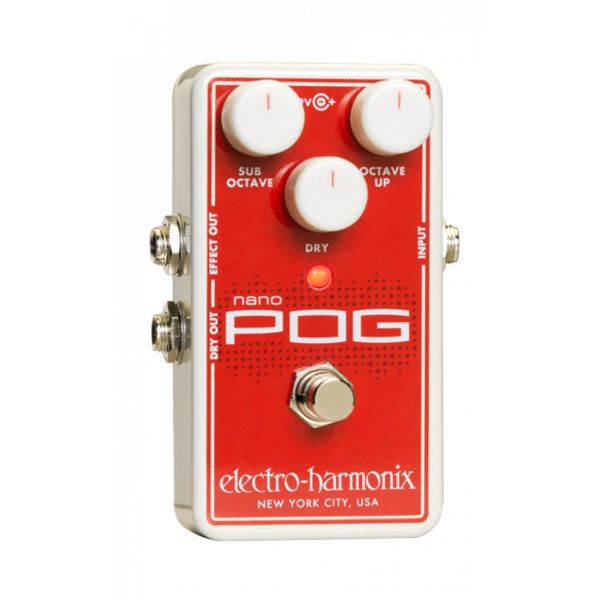 Electro Harmonix now offers the Nano POG polyphonic octave generator pedal, giving you the same 12-string, organ, and brand-new sounds as the other POG pedals in the line. But now you can save even more pedalboard real-estate with the smallest version of this classic design yet. It works great with bass too, giving you some truly funky options to tweak your tone. Get all the octave control and glitchless operation you love without having to pull another pedal from your board, with the Electro Harmonix Nano POG. Whether it's weight restrictions when flying, carting your gear to and from gigs, space in the back of the van, or just not having a large enough pedalboard, keeping the size of your board down is vital, so every inch of your board is precious space. If we were to put every pedal we wanted on our boards they'd be as big as the stages we're playing. Well, Electro Harmonix is here to make sure you can at least get one more precious tone in your rig. Their Nano POG polyphonic octave generator pedal gives you all the power of the larger POGs, but in their convenient Nano sized box. 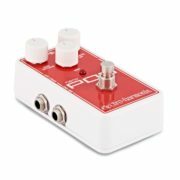 So often with smaller format pedals you are forced to sacrifice some functionality or performance for the sake of the smaller footprint. Not so with the Electro Harmonix Nano Pedal! Go ahead and grab the knobs to blend your sub octave and octave up with your dry sound. And there are outputs for the effected out along with a dry output to send the different sounds to separate amplifiers. 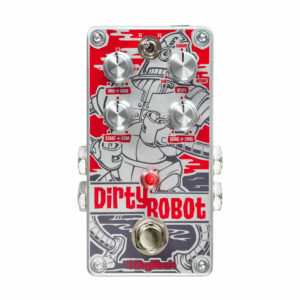 There's an incredible amount of juice in this pedal for it's diminutive size. 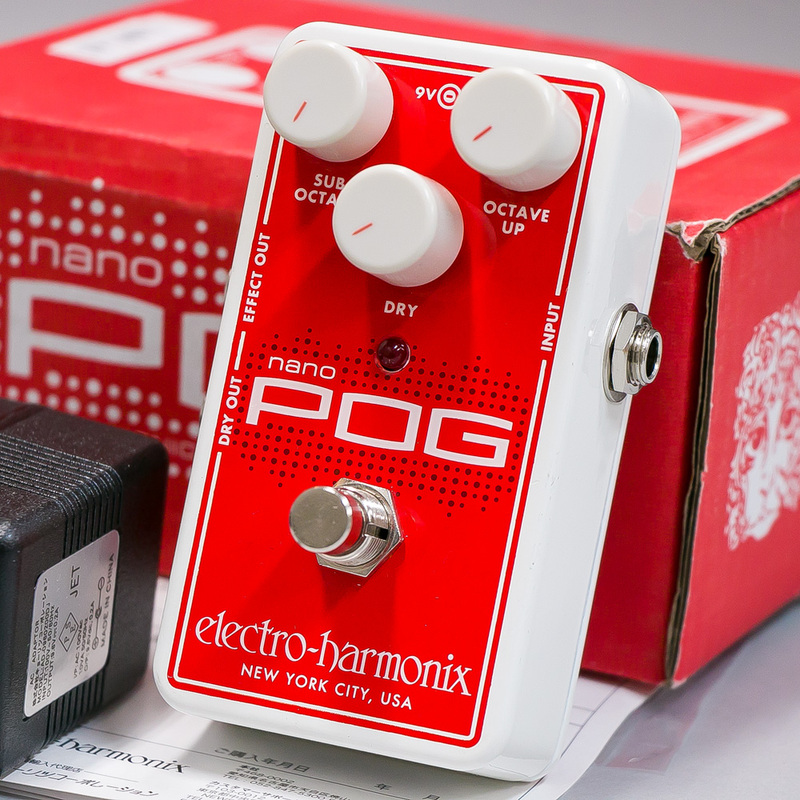 Not only can you get some of the most out-there synth-type sounds in a guitar pedal format, but the Electro Harmonix Nano POG is a master at emulating organ, bass, 12-string guitar sounds, and more. 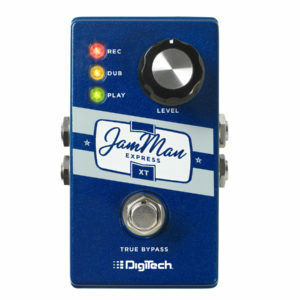 Seems to good to be true from a tiny little pedal with only three knobs, but this is no one-trick-pony. Blending the octave up with your dry signal sounds like a great electric 12-string. 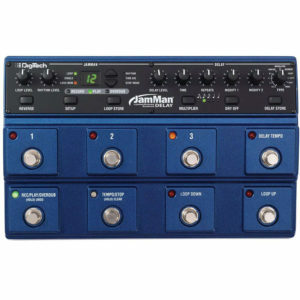 Drop everything except the sub octave and your bass player will be a little nervous for their job.